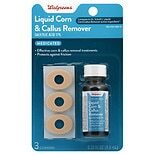 If you're dealing with pain and discomfort from calluses, try a corn callus remover. 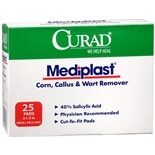 Eliminate and heal corns and calluses with a liquid or cushion treatment or try a metal callus remover. For fast relief, there are medicated formulas that can provide quick results. 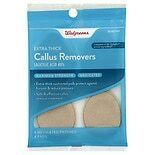 Some callus treatments come with pads to protect your sensitive skin against socks and shoes and allow it to heal properly. 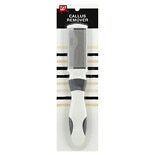 There are also foot files that can be used after soaking feet in warm water to gently rub away tough skin. 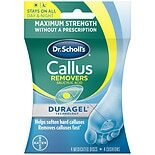 Find the callus remover right for you from brands such as Dr. Scholl's at Walgreens.com. 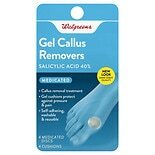 Besides callus removers, there are many foot care products that can help prevent sores and pain. Browse our foot lotions to keep skin soft and smooth, or try a pair of shoe insoles to comfort tired feet. We also carry a number of home spa products to pamper your feet at home and condition your skin. There is also a number of diabetic foot care products, such as diabetic foot cream and diabetic socks that can help keep feet healthy.